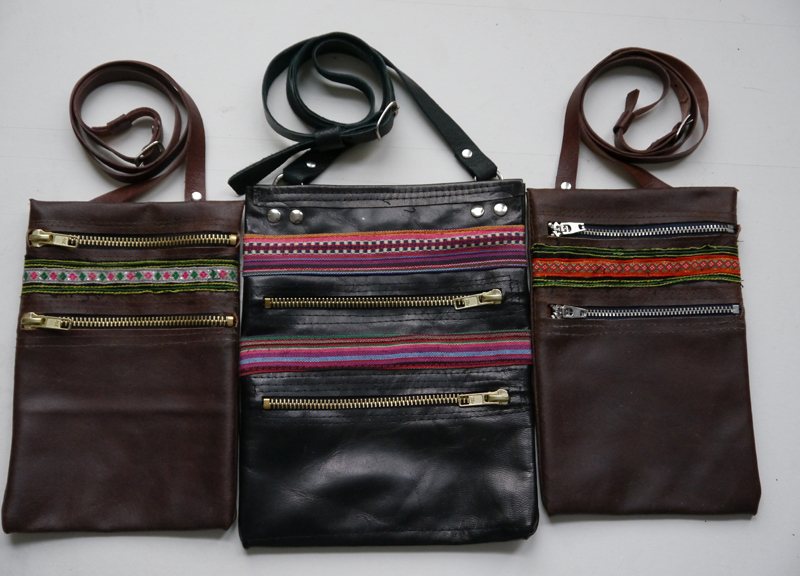 These days I use machines as well hand sewing, the purses shown above are 2 compartment purses with shoulder straps, the brown purses are 8 X 5 inches and the black one is 9 X 7 inches, all these purses shown here have 2 compartments, but they can be made with more, and to a size that you require. 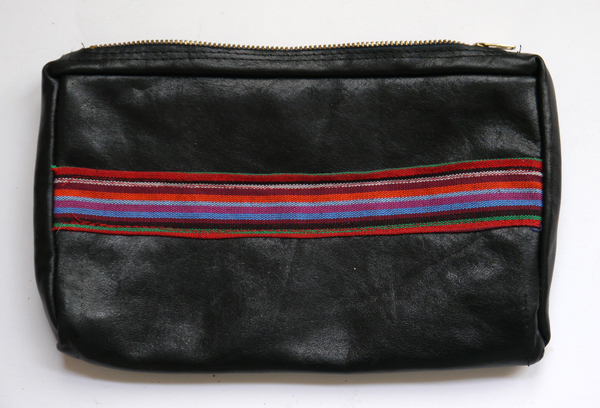 A regular style purse, 9 by 5 and a half by one inch deep, soft black leather with red woolen lining with 2 inner pockets, one open, one zipped. 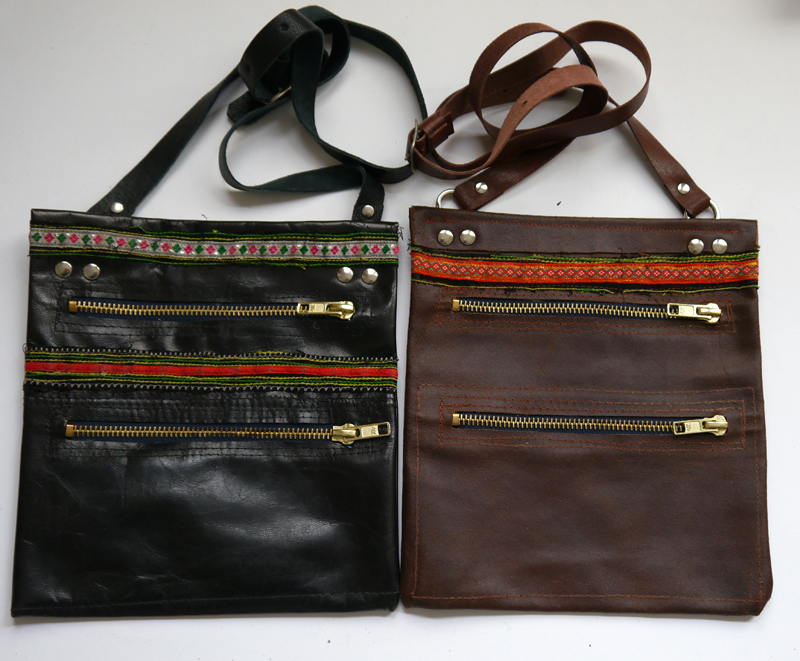 These purses are about 8 by 7 and a half inches, 2 compartments, all leather.